Our beta is out and now you can check our new and improved reports and functions to understand your games better. 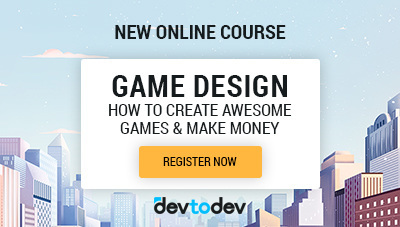 Watch 22 lectures from 15 speakers and become the best game designer out there! We treat our beloved clients equally. devtodev provided exact solution we needed to gather statistics both for performance analytics and gathering big data for user behavior deep analytics. I think this service became unique in it's type and we are proud to be among rather early customers. We have checked so many analytical systems before we have finally found devtodev, and it's hard to express how much of a relief it was. Using devtodev allowed us to drop at least three other services and finally get all the information about our games we need in one place, so now we can effectively track all our users from the very first steps in on dashboard. That's an amazing product, and we highly recommend it both to indie developers and to established experienced studios. With devtodev, we have the complete set of tools to help us understand our users. 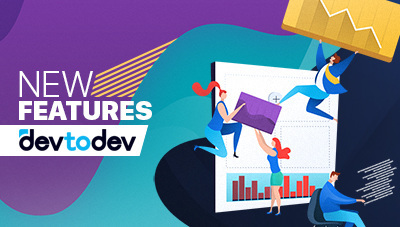 Functionality that devtodev provides us with, not only completely meets the company’s demanding requirements, but also gives a highly scalable foundation for continuing rapid growth. Do you simply want to concentrate more on the product itself and require the consultation of an analyst?